A view from the field: Guest blogger Nicole Ritchie shares her experiences. This month brings to an end a three-year Kentucky Department of Education, Mathematics Science Partnership grant with the Knott County School District and with partner Morehead State University. During this past year of the grant we had a new science coach, Nicole Ritchie. I suggested to Nicole that her experiences of leaving the classroom to become a district leader and then returning to the classroom would be of interest to many people. She graciously agreed to share her reflections. I was granted the wonderful opportunity to become a district Science Coach in Knott Co. this past year via a CTL grant. This opportunity allowed me to travel throughout the county and really participate in supporting and helping all our science teachers in grades 4-12. Some of the most valuable experiences I gained were from collaborating with many different teachers and watching them work their magic in their classrooms. I feel like I shared many things with the teachers of our district, but in truth, I think I learned more from them than they did from me. As a district, we had a couple of main goals or objectives that we worked diligently to reach. We hoped to increase the amount of differentiation, engagement, inquiry based learning, and formative assessments in the classrooms in our unit development process. We all worked conscientiously on these goals during monthly cadres in the middle school grades and during weekly professional learning community meetings at the high school level. 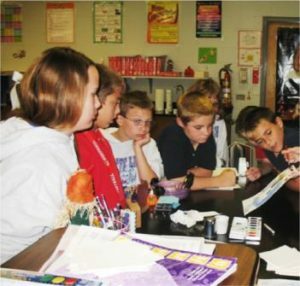 We instituted new teaching strategies across our district with everything from Power Teaching to Predict-Observe-Explain events to Harvey Silver’s The Thoughtful Classroom techniques. While not everything was a total success, it was wonderful to see teachers step out of their comfort zones and try these new techniques for the sake of their students. That says a lot about our teachers’ willingness and love for their students. I think we’ve made great strides in the right direction toward rigor and relevance and improving the critical skills needed for the 21st century and beyond. I feel truly blessed to have been able to work with such a great group of teachers and administration and CTL staff, but as this grant comes to an end, I get the wonderful opportunity to return back to the classroom. I’ve been placed in a middle school position, and I am truly excited. It has been several years since I’ve been able to teach middle school, but I am hopeful that I can take all the information and experiences I’ve amassed in the past year and make this one of the best years of teaching ever. I’ve missed those butterflies in my stomach when a new group of students are sitting in front of me, those positive interactions that you get when you help a student truly get it, and just the love and energy you receive from kids who truly know you care. I’m looking forward to taking all this new knowledge, experience, and energy and putting it to use! Wish me luck! This entry was posted in Blog and tagged coaching, Instruction, leadership, learning, professional development, science. Bookmark the permalink.